Newton's Nook Designs: Fun Mom Card & Video by Christine Drogt! Fun Stenciled on-layer card for Mother's Day! Today I'm sharing a super fun card and video by Christine Drogt using our new Love Grows set! I love how she just used the hearts and sentiments from this set to create a totally fun an modern look! This card is just one layer - she created all the dimension using stencils. Check out her video below to see how she made it! Make sure to check out Christine's blog, Kartenchaos and subscribe to her Kartenchaos YouTube Channel too! Celebrate National Scrapbook day with a Sale!! Now until Sunday, May 4th, 2014 at Midnight CDT! Do you use stamps in your scrapbooks? Whether your a scrapbooker or not, we've decided it's a good excuse to celebrate with a sale! 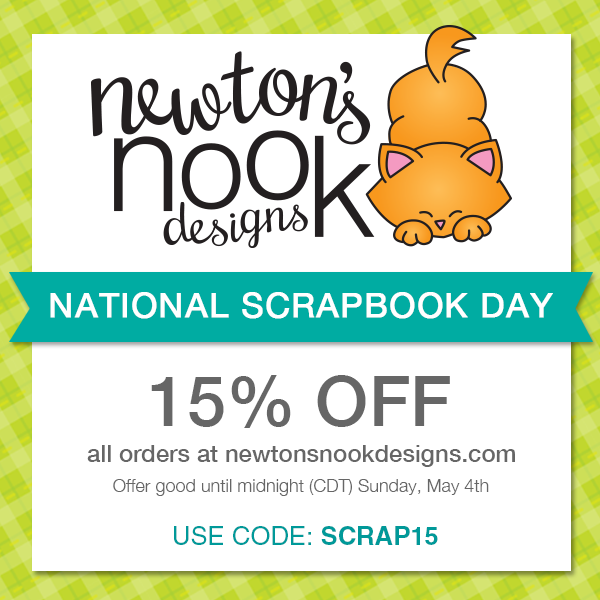 Shop this weekend at Newton's Nook Designs and get 15% off your whole order! Fill up your cart with your favorite stamps and then use code SCRAP15 to get your discount! Good on any in-stock items! 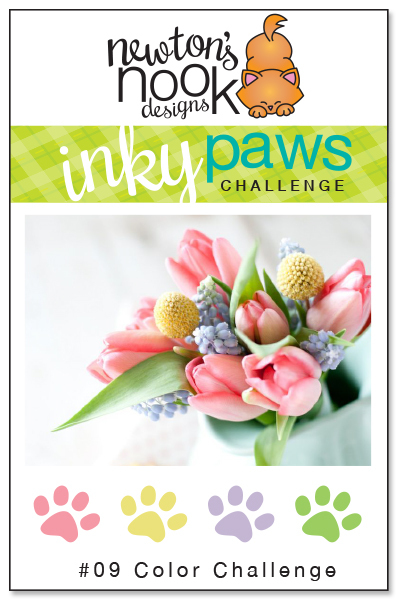 One week left for our Inky Paws Challenge. oh wow! i LOVE this card!!! the rainbow and shaded fishtail chevrons christine created, just wow! !